I must admit - I feel like a dork. 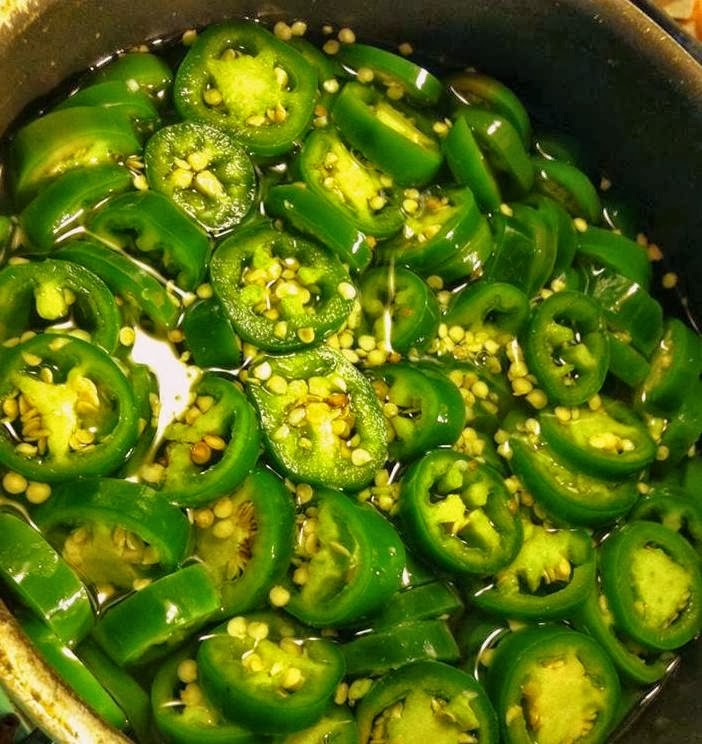 After pickling my own fresh jalapenos, we are never buying them from the store already canned. Ever. Again. My husband loves the intense flavor of these so much more, and you can fiddle with the sugar amount to make them sweeter or not so much. However you prefer. I searched several places before combining some recipes into my own. I learned that equal water and vinegar is important. And I also found that I can pack a lot more pepper into the liquid than almost every recipe calls for. I canned 20 peppers into a one-quart jar. Then I made another batch and separated them out into two-8oz jars. These also seemed to pack the heat a bit more than any kind I have bought at the store. 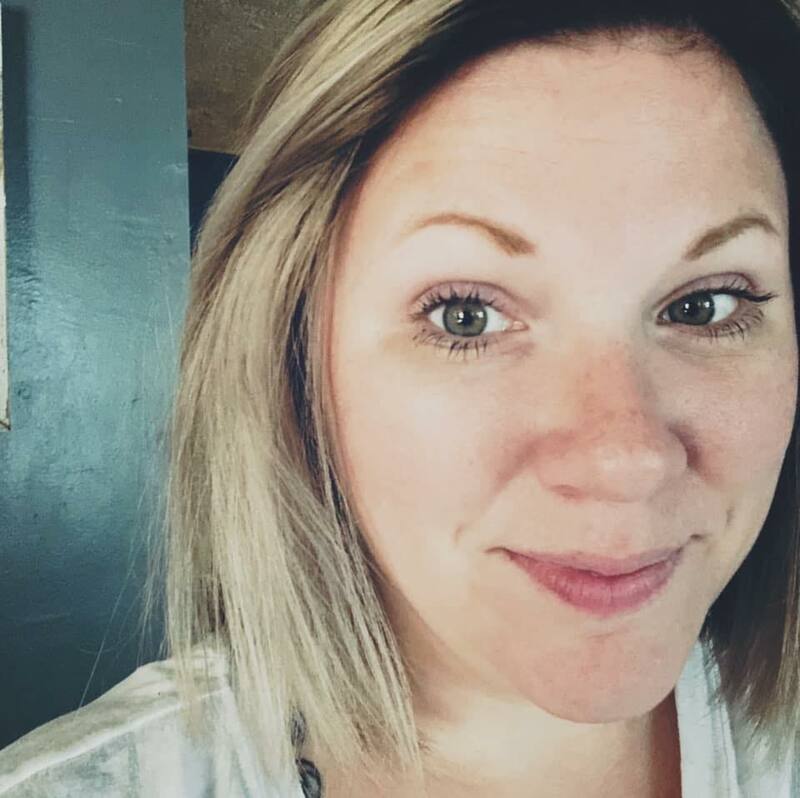 I'm not sure why that is exactly. 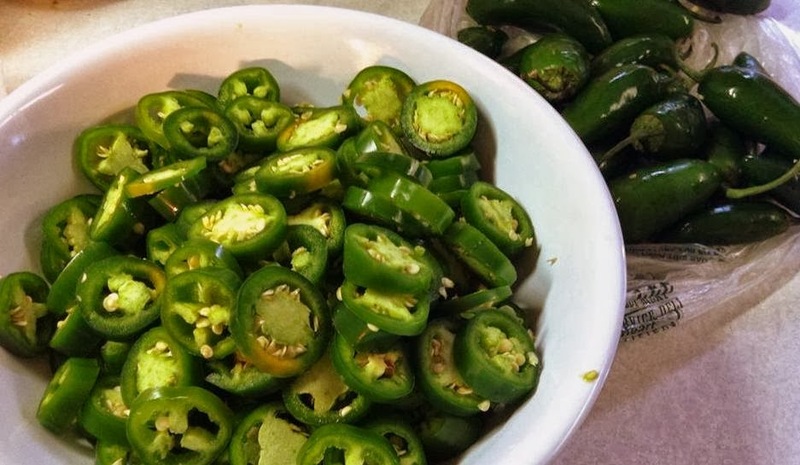 I used a combination of large, medium and small jalapenos. Who knows! But they are good! Bring the water, vinegar, sugar, salt and garlic to a boil in a medium saucepan over high heat. Stir in the jalapeno rings. Let the pan sit and cool for 10 minutes. Prep your canning jars while they cool. 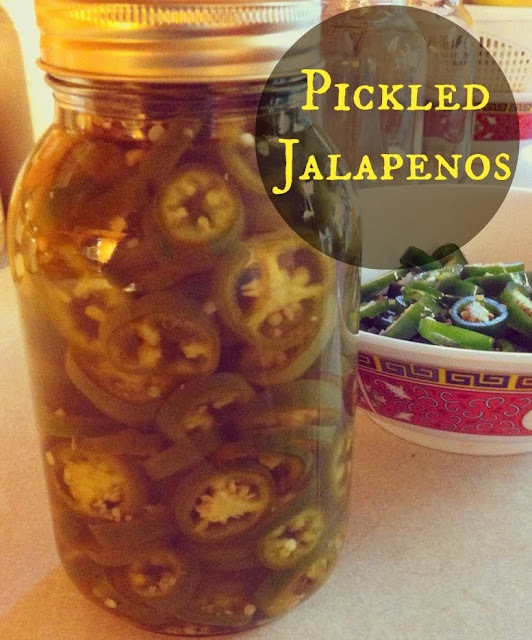 Pack the peppers into the jar using tongs or a slotted spoon. Pour the liquid over the peppers, filling the jar, leaving 1/2 in head space or so at the top. It may not take all of the liquid. Seal and keep in the refrigerator.